When it comes to fuel economy, the Chevrolet Equinox delivers decent numbers that will not be a burden on the wallet. Naturally, any sort of discussion about fuel economy is going to be a talk about averages, so your mileage may literally vary depending on a number of factors such as driving habits, local road conditions and activity patterns. The two engines available for the Chevy Equinox have different fuel economy ratings mainly as a consequence of basic physics. Bigger engines produce more power, but they burn more fuel in order to do so. Conversely, smaller engines burn less fuel, but don't put out as much power. 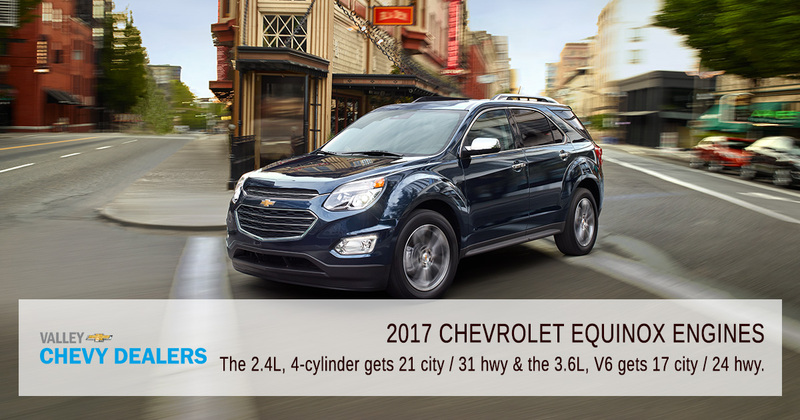 The 2.4-liter, four-cylinder engine available for the Equinox gets 21 miles to the gallon on city streets and 31 on the highways. Meanwhile, the 3.6L V-6 gets 17 miles per gallon on the streets and 24 on the highway. It should also be pointed out that not all fuels are created equal. Straight gasoline carries more potential energy than E85 ethanol fuel, which can result in significantly different numbers for mileage. For example, when using E85 instead of gasoline, the 2.4L engine gets about 15 mpg in the city and 21 highway. 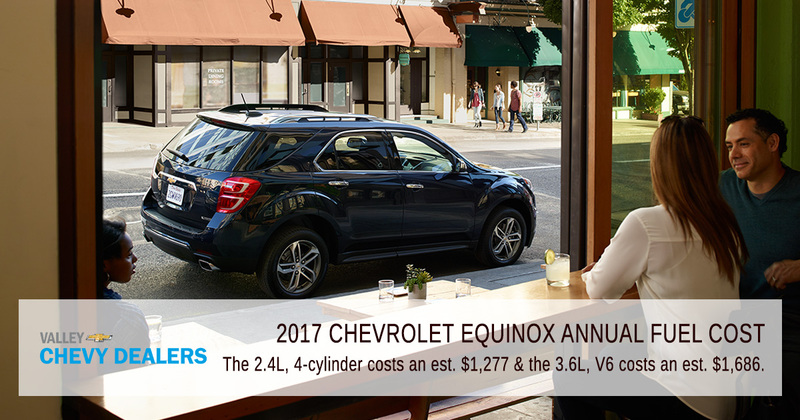 When trying to figure the cost of the Chevrolet Equinox's fuel economy, certain assumptions have to be made. The amount of city driving compared to the amount of highway driving, average cost of fuel, number of times that you fill up, how many gallons are added into the tank when you do fill up – all of them can produce different results. With the 2.4L engine, assuming an even split of highway and city driving, drivers can expect an annual fuel cost of $1,277. With the V-6 engine, the average cost goes up to around $1,686 over the course of the year. This assumes the engines will be using gasoline. With E85 prices being about 15 percent lower than gas at the present time, drivers can probably expect to see some cost savings, though lower fuel efficiency may not translate out to straight savings across the board. Test Drive a New Equinox in Phoenix Today! 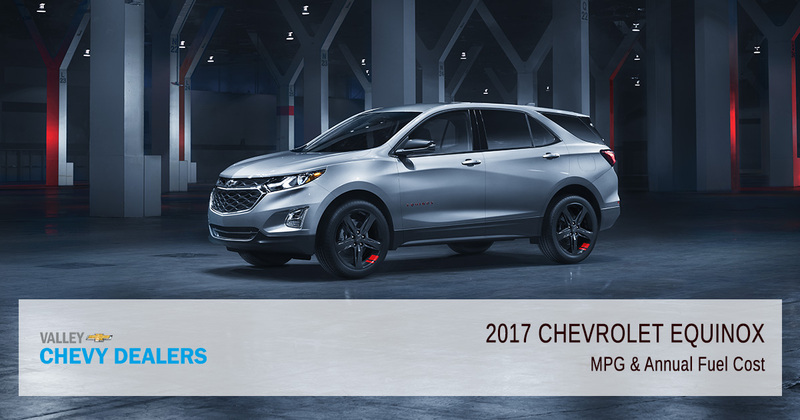 Your Valley Chevy car dealerships can give you a better idea of how your mileage will vary when driving the Chevy Equinox. Come down to your nearest dealership and schedule a test drive to learn about all of this car's interior and exterior features.